When replacing your aging heating and air conditioning system, look for the ENERGY STAR® label. It’s a vote of confidence from the Environmental Protection Agency, helping homeowners make sound purchase decisions. This badge of excellence doesn’t necessarily say which products are good or bad. Rather, it suggests which ones can help you achieve your energy efficiency goals. How Can Heating and Air Conditioning Products Earn It? The product category must contribute to significant energy savings across the country. The product must provide essential features to meet basic performance needs of consumers. The product’s performance and energy consumption can be measured and verified through testing. The EPA might decide to revise its specifications from time to time. The agency factors in market share increases of certified products, changes in federal energy efficiency standards, and problems with test procedures, among others. 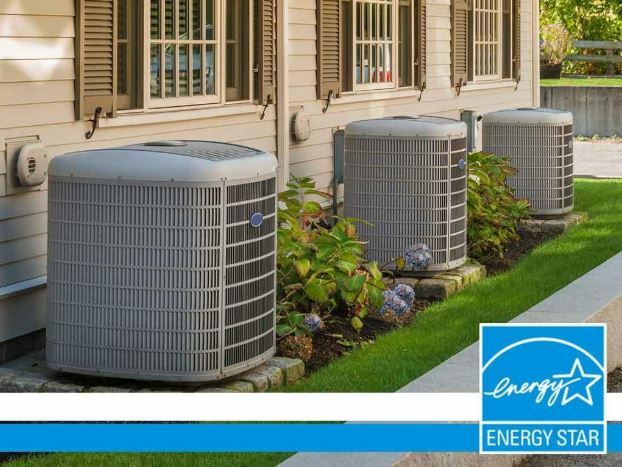 How Can ENERGY STAR Heating and Air Conditioning Products Benefit You? ENERGY STAR-labeled products minimize greenhouse gas emissions and other pollutants caused by inefficient energy consumption. As a result, they can help curb climate change. Apart from keeping the environment green, this stamp of approval from the EPA helps consumers buy energy-saving HVAC units. By economizing energy, your cost for comfort would be reduced. Replacing inefficient heating and cooling units with ENERGY STAR-qualified ones can trim your annual energy bill by $115 or more. Buying an ENERGY STAR-approved heating and conditioning system is one thing; getting it installed properly is another. It’s imperative to work with an experienced HVAC specialist to ensure proper installation and guarantee savings. At O.K. Heating and Air Conditioning, you can count on us to retrofit ENERGY STAR-labeled cooling and heating equipment to your home in Madison, WI. As the region’s most experienced HVAC specialists, we offer not only high-quality products but also reliable services. We also provide a free estimate, allowing you to tap our expertise to figure out the right HVAC system for you with no strings attached. Call us now for more information: (925) 337-8319.